A friend of mine whom I greatly respect, former ‘Miss Canada’ Tara Teng has announced she will be taking the issue of modern day slavery to the global stage by vying for Miss World Canada. 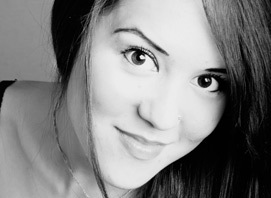 Find her bio at http://missworldcanada.org/Contestant-Detail.aspx?ID=23 and vote for her. You don’t need to submit any e-mail, password, or anything. Just vote! The world needs more female role models like Tara. Get it… role ‘model’? I knew you’d catch on.